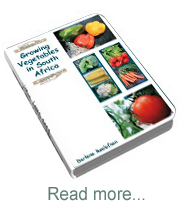 I hope you enjoy this excerpt from my new e-book “Growing Culinary Herbs in South Africa” which is almost complete. I decided it was time to write a book on these little miracles of nature because there is a growing and widespread interest in herbs today, as people rediscover the joys of organic gardening and the health benefits of using herbs daily. For most of us our interest in herbs begins with food and the wonderful flavours and fragrances they bring to our dishes, but growing herbs will not only spice up your life but also reward you with their beauty and wonderful healing properties. 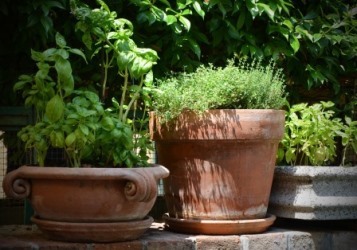 Besides, the prices of both dried and fresh herbs at vegetable and grocery stores is incredibly high, and taking into account that these extraordinary plants are some of the easiest to cultivate - it simply makes sense to grow your own! 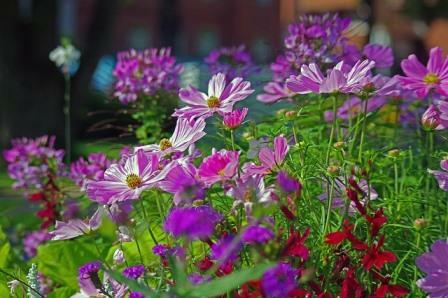 Cosmos, Cleome & SalviaAll South Africans enjoy some colour in the garden, and especially in summer when we do a lot of entertaining, or simply lazing around outdoors with the family. However, growing plants in the full sun can be challenging, especially if rainfall is unreliable, but it’s doable, providing you select the right plants, and do a little planning beforehand. 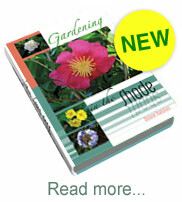 Adding colour to the garden need not break the bank either, and you can grow a lovely flower garden simply by sowing the seeds of annual flowers, at the start of the season. If you prefer to start with trays of seedlings, by carefully selecting only high traffic areas of the garden to enhance with colour, you can save yourself a lot of cash. Avoid planting large expanses of flowers, and remember that even a few selected containers or hanging baskets, if strategically placed, will make a huge impact on the overall effect of the garden. 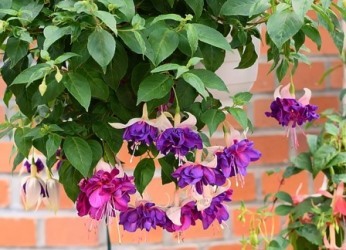 There’s a lot to love about fuchsias! Fuchsias remain one of the most popular shrubs to add interest, and a little tropical flair to cool spots in the garden, or on the patio. 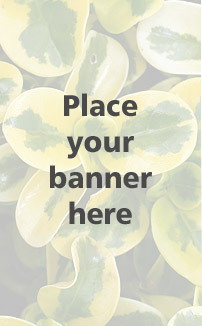 With about 110 recognised species, and over 8000 recorded cultivars of fuchsia; from large, upright varieties, to those with a lovely trailing habit, there’s bound to be the perfect one for your garden or small balcony. The elegant, pendulous flowers are very decorative, and are borne in profusion on cascading stems, throughout year in tropical species. 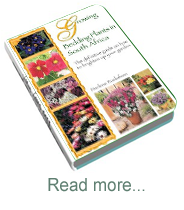 In South Africa, the flowering season starts in earnest in mid-October and continues to March and April, after which the plants are pruned lightly, and the growing cycle continues until the temperatures drop in autumn. In most regions of the country, if cared for correctly, fuchsias can bloom almost continuously through summer, and well into autumn. Outeniqua Yellowwood. Picture courtesy www.kumbulanursery.co.zaOur indigenous Yellowwoods have become firm favourites with gardeners around the country, and the world, for their beauty and versatility. 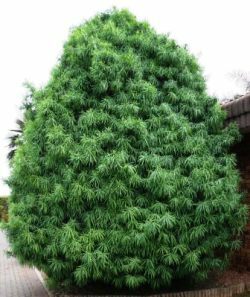 They can be grown as specimen trees, and the Breede River yellowwood, being the smallest of the yellowwoods, is suitable for small gardens. All yellowwoods can be cultivated in large containers, and Henkel’s yellowwood makes an excellent hedge or screen. Yellowwoods also make good bonsai subjects, so even if you only have a balcony, you could grow one! 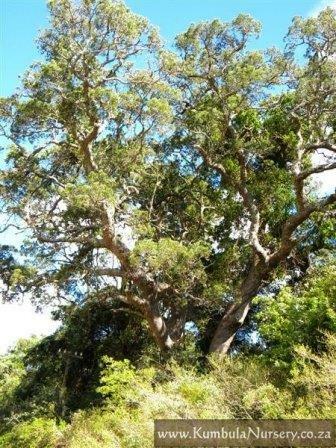 Every year we also remember, and promote one of our rare or uncommon trees, and this year it’s the Shepherd's Tree, Witgat, siPhiso, Mohlôpi, Xukutsi, Muthobi (Boscia albitrunca.) SA Tree No: 122.